Mobile apps are an integral part of a consumer’s overall digital experience and customer journey; in fact, 90% of all mobile time is taking place in mobile apps alone. Sure, people are downloading apps on a daily basis. The challenge, however, is understanding how to keep users engaging with your app and drive app usage. 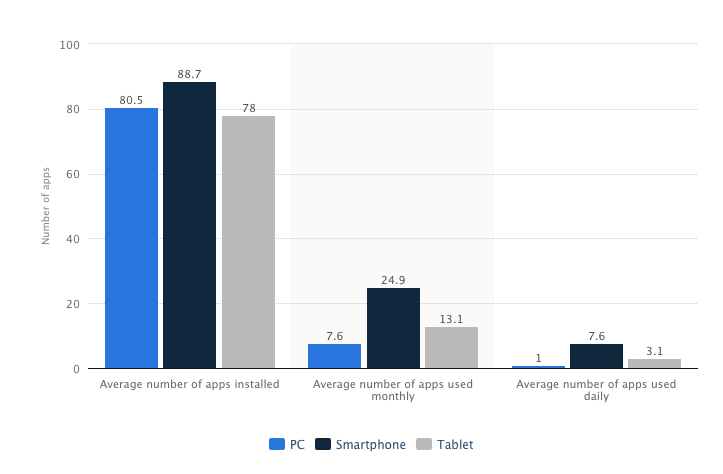 According to Statista, smartphone owners had an average of 88.7 apps installed on their smartphones but only used 24.9 of them on a monthly basis. In addition, about 25% of app users open an app once and never return. The key to driving app usage and retention is not just about your product or your marketing; it’s about the data. Data provides rich insights into who your users are and how they’re engaging with your app, or rather why they’re abandoning your app. 1. You’ll know who your users are. The first step in discovering your users is to segment them based on their unique interests, needs and behaviors. Apps are more competitive than ever before; Android users are able to choose amongst 2.8 million apps in general, while Apple users have access to over 2.2 million available apps. In order to stay ahead of the competition and drive app usage, you have to target the right people. For example, if you have a Fitness app, you’re competing against hundreds of thousands of other health and fitness apps in the app store. It’s essential to understand who’s using your app and what their needs are in order to set yourself apart from the competition. 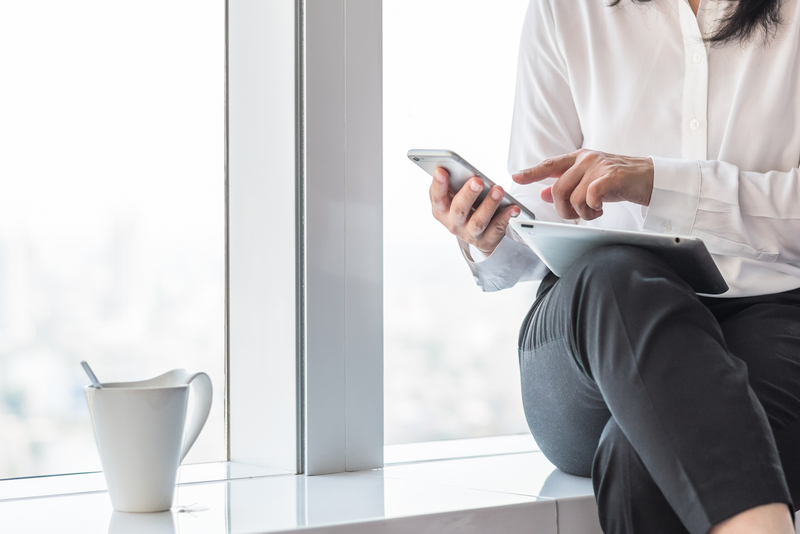 With access to a user’s mobile device ID, aka a person’s most personal device, app developers can gain invaluable insights into users’ mobile consumer behaviors (such as app downloads, app usage, purchasing habits, mobile browsing behaviors, etc.) as well as match this mobile data to demographic, geographic and psychographic information to build full comprehensive profiles. This way, you can determine the brand and message you want to send to audience segments including individuals with an expressed interest in fitness, health, health food, health tracking, etc. so you are targeting the right people for your app. A richer understanding of who’s in your audience allows for a personalized app experience to keep users coming back for more. 2. You can personalize the app experience to your users. Consumer engagement begins and ends with personalized communication. Once you discover who your users are and segment them based on their unique needs, interests and behaviors, you can determine how your app experience can be personalized to them. When a user downloads your app, the challenge is to keep them utilizing your app. Therefore, your app experience should reinforce your audience to feel that they are being valued individually and their needs are being met. App engagement and reengagement are key, as app users tend to lose interest quickly. Two in three app users will use an app frequently when it simplifies their lives. Whether this is through personalized push notifications or location-based services, the key is to know and understand users and engage them through your app. 3. Deliver targeted content to engage your users – over and over again. In order to tailor your app content and product to your audience, it’s essential to try out new channels of communication (in-app messaging, social networks, push notifications) to improve the app experience. Many times, marketers assume push notifications risk diverting users from wanting to engage with apps. According to Google, however, 85% of push notifications on mobile are considered useful if they provide value such as notifications about a purchase being shipped/delivered, an upcoming reservation or appointment reminder, new discount or offer, new app upgrade, price reduction for a product being followed, and more. Your app’s value must be clear in order to re-engage users and draw them back to your brand after abandoning your app. Apps are crucial in driving a customer to engage in the purchase journey. In fact, customers who are engaged typically generate 1.7 times more revenue than normal customers. For example, Sephora’s retail app allows its users to scan products in-store to read ratings and reviews, shop on the go, receive coupons and app-only offers, reorder past purchases, see what’s in stock at your local store, as well as access loyalist rewards and more. By providing a personalized app experience with useful and engaging features, Sephora keeps its user and shoppers coming back to keep using their app.